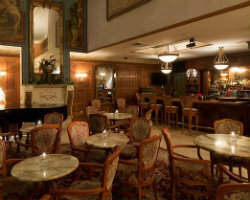 The Horton Grand Hotel has been receiving rave reviews for their service and accommodations since the 1880's and the current staff are still hard at work to ensure that the reputation of this elaborate facility is kept firmly intact. 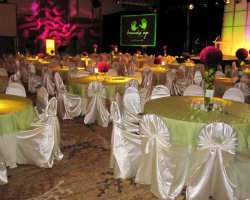 With room to seat up to 300, the Horton is one of the most versatile banquet halls in San Diego, CA. The New Orleans-inspired courtyard is sure to be an instant hit with both you and your guests as the glow of fire pits and the sounds of a water fountain provide a unique background for your party. We have 8 unique wedding venues available for ceremonies & receptions here at the historic Naval Training Center San Diego, now known as Liberty Station. Enjoy your special day in our restored buildings & beautifully crafted outdoor gardens. Choose from McMillin Event Center (an original Navy Library), courtyards, park-like settings, and our gorgeous North Chapel. The University Club Atop Symphony Towers is the ultimate in excellence and style. This is one of the most experienced San Diego wedding venues and with good reason. Their affordable packages are conveniently listed on their website and the prices are downright cheap when looked at next to the cost of comparable reception halls throughout the city. While the rates are low, it's important to note that the staff here are considered some of the best and most practiced in the wedding planning business, ranking it among some of the top wedding venue bargains to be found in southern California. San Diego's Columbus Club is the site of the city's Knights of Columbus chapter and it offers one of the best values for a small wedding venue in all of southern California. It's prices may be cheap, but you and your guests will be treated like kings by the staff of the this historic club. With room to seat 300 people, this affordable banquet hall is the perfect site for a wedding reception or Quinceanera celebration without breaking the bank. You needn't be a member of the Knights in order to book this amazing deal, so head to their website as soon as possible to ensure that your date is available. 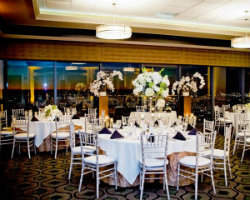 The beautifully outfitted Hilton San Diego Bayfront has quietly become of the best San Diego wedding venues with prices that are cheap compared to other southern California party halls. Their KISS wedding package stands for Keep It Short and Simple and their experienced staff and on-site wedding planner will work hard to ensure that that's exactly how it goes. The package also guarantees that you get the most affordable rates for a wedding that you can be proud of while sending you and your new spouse into marriage in the best financial shape possible. 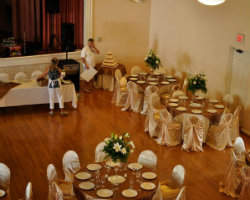 The San Diego Women's Club can provide an elegant and timeless backdrop for your wedding or other special event. This classic small wedding venue is loaded with appeal, from the historic Colonial-era Clubhouse to the customized service that every wedding receives. 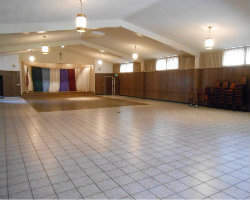 Just minutes from famous Balboa Park, the reception hall in the San Diego Women's Club can host parties of more than 240 people with dinner served and a dance floor available. The affordable rates of this popular venue also make it a great choice for an engagement party or very special Quinceanera celebration. 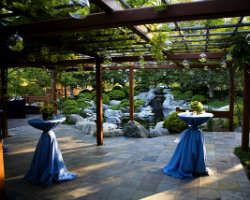 The Japanese Friendship Garden is a unique and natural setting for the most memorable and romantic wedding a bride and groom could ever hope for. With exquisite views of world-class Balboa Park, this garden wedding venue offers the ultimate site for those planning an extraordinary event. Your guests will revel in the inspired landscape featuring exotic trees and lush ponds and fountains as they are tended by a staff that is trained to anticipate their every need. At San Diego's Japanese Friendship Garden, you can let nature at its best serve as the backdrop for the most important day of your life.